The role of the Diversity Committee is to advocate diversity initiatives for the Chapter. This is done through the development and distribution of information and materials to Chapter members and to recognize and publicize successful diversity efforts in local workplaces. 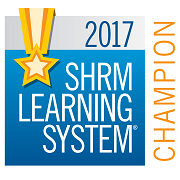 The role of the Programming Committee is to plan and organize programming efforts for the monthly SHRM Chapter meetings that will benefit our members by providing educational and development opportunities to enhance professional knowledge and skills. The goal of the Workforce Readiness Committee is to provide GBSHRM members information about training programs and resources in the Greater Green Bay community that are involved in preparing workers to enter the workforce. The role of the Nominations Committee is to recruit future board & committee members, manage the board nominations & selections process, and administer the nomination & selection process for the Career Achievement Award and the Member of the Year Award. If you are interested in learning more, please contact Lisa Bos, Nominations Committee Chairperson. 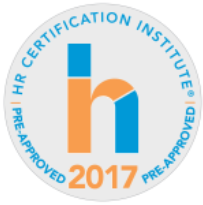 The role of the Certification Committee is to promote professional development through the SHRM-CP/SHRM-SCP certification process. The goal of this committee is to certify as many members as possible by offering two comprehensive training programs each year (spring and fall). We are always looking to grow our committee and training facilitators. Please E-mail any committee member if interested! The goal of the College Relations Committee is to provide more awareness of the Human Resources Industry to college students through college outreach efforts. We currently work closely with UW-Green Bay and St. Norbert College. We are usually looking for approximately 10 guest speakers for both Fall and Spring semesters to speak on Human Resources topics at either UWGB or St Norbert College. If you have any interest in doing this, please contact Rachel Audette.